Introducing 272 MA in Harlem, no fee rental apartments | HarlemGal Inc.
More apartments to rent are coming up in Harlem! The next batch is on the corner of 112th Street and Manhattan Avenue! The building is calling itself 272 MA. And it’s represented by Nest Seekers International. 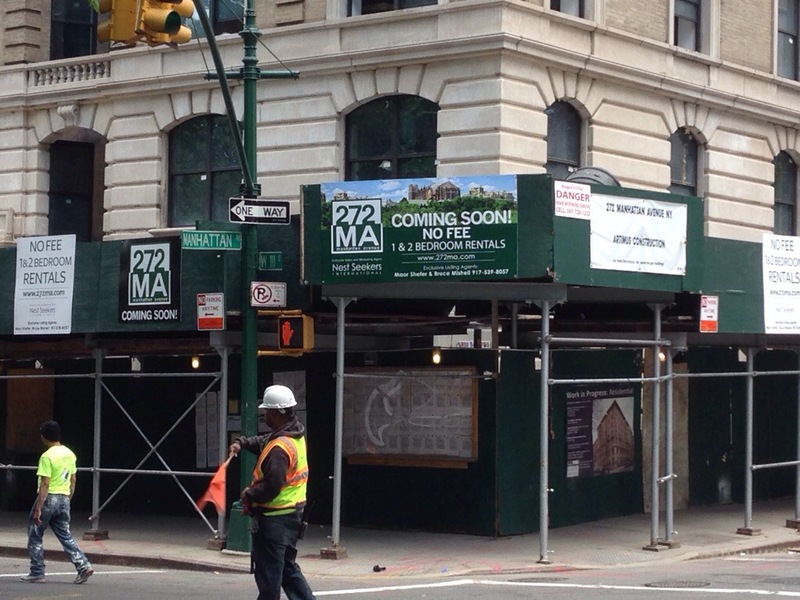 According to the signage, the building will be offering one and two bedroom apartments with no fee. Hmm? But you have to make a certain amount of income to go into the building, according to the website. And the income is on the high side if you ask me! Interested applicants have to fill out this form. Here’s the website to learn more. This entry was posted in apartments, Harlem, Harlem bloggers, Harlem blogs, Harlem real estate,, HarlemGal, Morningside Park, real estate and tagged 272 MA, Apartments, Harlem, Harlem Real Estate, Manhattan Avenue, nest seekers international, rentals in harlem. Bookmark the permalink. 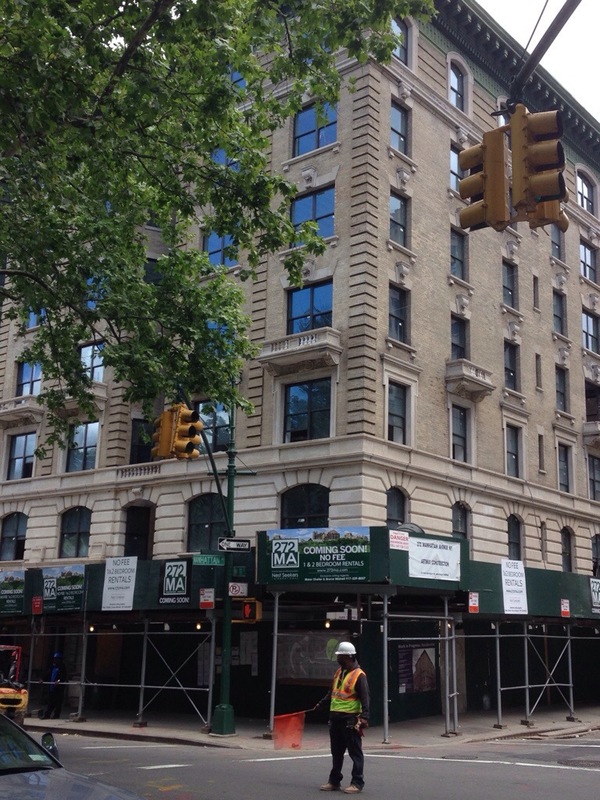 More apartments to rent are coming up in Harlem! Go to the website and register. Good luck. right.. the income needs to be on the high side.. they just renovated this building.. do you think the owner wants the same kind of people to move back in and mash it out again? Who are you to say such and arrogant and ignorant things about people you don’t even know I knew several renters who had lived in that building for over 30 years They took excellent care of their home and spent their own money to do their kitchen over So who are you to say such nasty stupid things about people you have no knowledge of. who and what they were about. Income may be robust for a single person, but it’s actually pretty restrictive for two people. My friend and I (teachers) could qualify for a two bedroom because we are in our 20s and still at the bottom of the salary scale, but one of my other friends and her husband (also teachers) couldn’t because they are 30 and have been teaching more than 5 years and did some tutoring last summer.